The award was created to honor the best doctoral dissertation on any aspect of modern India - social sciences, humanities, education and fine arts - in any U.S. University or academic institution awarding the Ph.D. The award continues to this day, honoring the legacy of Sardar Patel. Science, State-Formation and Development: The Organization of Nuclear Research In India. Document Raj: Scribes and Writing Under Early Colonial Rule in Madras, 1771-1860. The Ethnography of a South Indian God: Virgin Birth, Spirit Possession and the Prose of the Modern World. Cultivating Identity: Agrarian Mobilization and the Construction of Collective Interest in Contemporary Western India. Casting Desire: Reproduction, Loss and Subjectivity in Rural North India. The Prehistory of the Popular: Caste and Canonicity in Indian Modernity. The Social Space of Language: Punjabi Popular Narrative in Colonial India, c. 1850-1900. Family Values: Refashioning Property and Family in Colonial Bombay Presidency, 1818-1937. A Piece of Land to Call One's Own: Federalism and Institutional Innovation in India. Divided We Stand: Diversity and National Identity in India. Born Vallabhbhai Jhaverbhai Patel in 1875 in the city of Nadiad, Sardar Patel was one of the three principal leaders of the Indian Nationalist Movement for freedom from British rule. 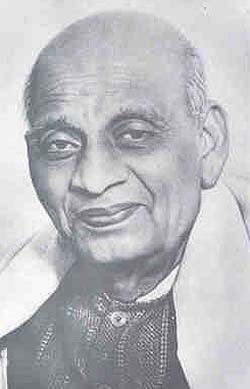 After India attained freedom in August of 1947, Sardar Patel became Deputy Prime Minister of India, as well as Minister for Home; Princely States, Information and Broadcasting. As one of the earliest proponents of property rights and free enterprise, he is often considered the Iron Man of India. Due to his stellar role in integrating 565 princely states and colonial provinces into the nascent Indian Union, he is remembered as the Architect of modern India. He died on December 15, 1950 in Mumbai. In his honor, a national memorial was created at the Moti Shahi Mahal, located in Ahmedabad in his home state of Gujarat.